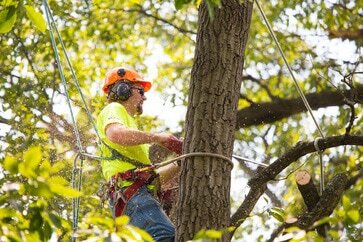 Are you living in Cincinnati Ohio and you want to hire professional, reliable tree services that you can count on at all times? It can be very hard to find a team of experts that provides quality tree services, but thankfully we are here to help. Once you choose us, we will be able to bring you the best, highest standard tree services on the market, all at a price that you can rely on! We cover a wide range of services which include everything from stump grinding, uprooting and many others. 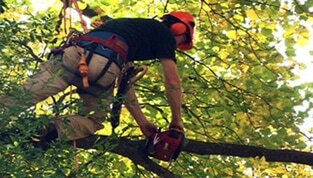 We are a team of experts focused on delivering stellar arborist services in Cincinnati. Not only do we want to help you reach the best results, but we understand the type of value you want from our services and we will help you get access to that as fast as possible. We know that it will not be easy to do so, but with the right approach nothing is impossible. We serve cities like Norwood, Finneytown, Reading, Blue Ash, Montgomery, and more. When you want good and reliable tree services, our teams will be there for you and they will help provide the high standard experience that you always wanted. We have TCIA and ISA certifications and more than 10 years in the industry. This means that all services we offer are reliable, fast, professional and very easy to use. That’s what makes the experience worth it, the fact that you can obtain an immense value for your money. Call Us now at (513) 438-0183 for a free estimate on any tree service you require. We provide emergency and 24/7 service in case of storm and other disasters. Why should you pick our services? We have more than 10 years of experience in the tree removal industry and we can use our experience to help you get the best results very fast. We also share the costs upfront and you receive free estimates very fast. If you want to keep everyone safe, then we are the service to pick. We can take all the necessary precautions and we will ensure that both you and your family will stay safe at all times. We use professional, safe tools that will make our arborist services fast and very fast. Our tree services are very affordable. Finding quality tree services in Ohio can be very hard, but with our help you never have to worry about anything. We will do all in our power to maintain the costs as low as possible so you can reap all the benefits. ​Very professional and upfront. They came the same day we called and did a lightning fast job of removing the stump and cleaning the mess. I will recommend them anytime anyday - and their price cant be beat. This means you get to pick the type of tree services you need and we will help you right away. 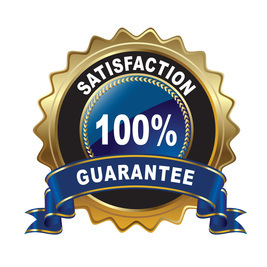 Not only that, but we will also provide a special price if you opt for this complete service. In case you need tree removal services, we can cover that as well. 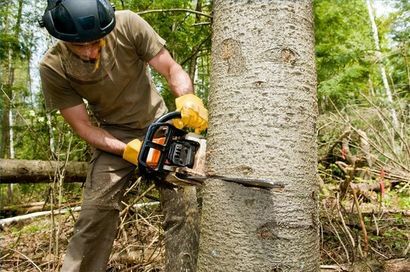 We have all the necessary tools and equipment to handle any type of tree services. 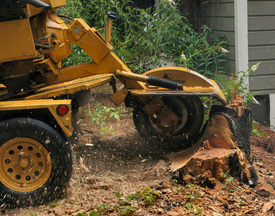 Tree stump removal Cincinnati or tree stump grinding. Tree stumps can be very challenging to deal with and many times they might put your entire lawn in danger. As a result, you need to deal with them as fast as possible and we will be there to help you right away. ​Tree bracing and cabling is a necessity if you have trees that are falling off. Sometimes, trees might be damaging your home and they can be dangerous to cables as well. We will use braces and cabling to ensure that both the tree and anyone around it will be very safe. 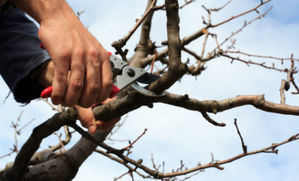 Tree pruning might be a necessity in case you want to boost the appeal of your tree. It’s very important to do tree pruning as it will help you acquire the best results and the highest quality as fast as possible. We will help you maintain your tree as healthy as possible! In the end, our affordabe 24/7 Eemrgency tree services are here to help you deal with any unwanted problems. If you want the best quality and the utmost results, all you have to do is to send us an e-mail or call us now and we will gladly help! Take complete advantage of these great tree removal services now and great prices now, as they won’t last for long! We also help you customize the tree services you need very fast. Not every company or residential user has the same needs, which is why you will have to work closely with us to identify your needs. Once that is done, we will help provide you with the service package that you always needed. It will be challenging at first, but in the end the experience will be an extraordinary one to say the least! Also, our team is known for helping you get the best value for your money. We maintain the top quality for all of our services and we make sure you always know the costs upfront. That alone will help provide an impressive outcome right from the start. It will not be easy to do that but in the end you will certainly love the results! You can hire us 24/7, so it doesn’t matter when you need us. We will be there for you and we will provide the services you need without any problem. That’s what will make our services work it, the great efficiency and availability. We come to you very fast and we usually solve any problem in just a few minutes. We understand that the issue needs to be solved fast and we will be there to help you every step of the way. Cincinnati Tree Pros is located in Cincinnati Ohio in Brookline Ave. Cincinnati is a city in the U.S. state of Ohio and seat of Hamilton County. It’s the home to two major sports clubs, the Cincinnati Reds, the oldest team in Major League Baseball, and the Cincinnati Bengals of the National Football League. Several Fortune 500 companies are headquartered in Cincinnati, such as Procter & Gamble, The Kroger Company, and Macy's, Inc., among others. 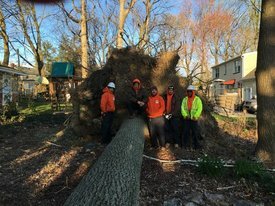 General Electric has headquartered their Global Operations center in Cincinnati allowing Cincinnati Tree Pros to provide properties with a full-range of tree services including stump grinding, shrub clearing and uprooting a tree. There are lots of destination here in Cincinnati, Ohio. You can check Cincinnati Museum Center, Cincinnati Music Hall, Cincinnati Zoo and Cincinnati Reds Baseball. You can also check Cincinnati Art Museum and Cincinnati Irwin M. Krohn Conservatory. Driving Directions from Cincinnati/Northern Kentucky International Airport to Cincinnati Tree Pros: Get on I-275 E then continue on I-275 E. Take I-75 N to Hopple St in Cincinnati. Take exit 3 from I-75 N and merge onto I-275 E then use the right 2 lanes to take exit 84 to merge onto I-71 N/I-75 N toward Cincinnati and use the left 2 lanes to keep left at the fork, continue on I-75 N and follow signs for Dayton/US-50 W/River Rd/Fifth St then keep left to stay on I-75 N and take exit 3 for Hopple St. Take Martin Luther King Dr W, Dixmyth Ave and Ludlow Ave to Brookline Ave and turn right onto Hopple St then continue onto Martin Luther King Dr W. Turn left onto Dixmyth Ave then turn left onto Clifton Ave and turn right onto Ludlow Ave then turn left onto Brookline Ave.for about 400 ft you should get to Cincinnati Tree Pros on your right side. Driving Directions from University of Cincinnati to Cincinnati Tree Pros: Head east on W University Ave toward Jefferson Ave then turn left at the 1st cross street onto Jefferson Ave and use the left lane to turn slightly left onto Vine St. Turn left onto W Nixon St then slight right onto Jefferson Ave and turn right onto Brookline Ave for about 400 ft you should get to Cincinnati Tree Pros on your right side.